It’s November, which means two things are fast approaching: Midterms and Thanksgiving. I’ll wager you’re only excited about one of them. Before you can gorge yourself on seasonal delights, squabble with visiting relatives, or watch the Detroit Lions lose*, you need to get through your exams. That’s nothing new, but now you’re an online student, which means that the exams will be a little different. Not necessarily easier. Not necessarily harder. Just different. And of course, since is this a season of both gratitude and giving, we’re giving you a few tips we know you’ll be grateful for. No need to send us a thank you note. Just show your gratitude by kicking the stuffing out of your online exams this year. Pretty obvious, right? But it’s easier than you’d think to miss an online exam. Sometimes, convenience can give way to complacency, which is a close cousin to forgetfulness. Back before the days of online education, I once overslept for a communications exam. I woke up in a cold sweat, drove through town like a rally car pilot, parked illegally behind a dumpster, walked in fifteen minutes late looking I’d just recently been sucked through a jet propeller, and ultimately managed to squeeze in the full exam just under the buzzer. I got away with it, but I wouldn’t recommend it. The thing about online exams though is that if you don’t show up on time, you could be locked out altogether. I may have gotten a disapproving grimace from my professor and a couple of judgmental glances from my classmates, but ultimately, human decency and more than a little pity prevailed, and I was permitted to sit for the exam. The software used to proctor your exam may not demonstrate the same flexibility. And even in cases where you can choose what time you take your exam, you usually can’t choose how much time you have to do it. More often than not, online exams are timed, which means you need to carve out an uninterrupted block of time for your test. Know what time your exams are (or alternately, how long you have to take them) and be at your computer, ready to pounce. Ground Control To Major Tom. Your circuit’s dead. There’s something wrong…and now you’re going to fail. One of the easiest ways to blow it on your online exam is failing to sufficiently prepare your computer. 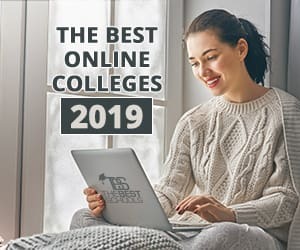 Online exams are often timed, meaning you can’t afford any interruptions to your power, Web connection, or basic program functionality. Make sure you’ve tested the link or software you’ll need for the exam, that all the proper updates and plug-ins have been downloaded, that you’re close to a power source, and that you actually know how to use the thing. This is the primary medium for connecting to your exam. Its weaknesses are your weaknesses. Online exams are usually unsupervised. It’s just not cost-effective to send a proctor to every student’s house or place of study. This means that online exams are frequently open-book and open-note. In this case, you’ll have access to your study materials. If you think this means you don’t have to study, you are mistaken. In an open-book setting, test questions will often require short, written responses that reflect a meaningful comprehension of the subject matter. And because online exams are often timed, you won’t have the luxury of learning that subject matter on the spot. If you go into it with only your open book to guide you, the lack of preparation will show in your rushed responses and the beads of sweat dripping down your forehead. Use the open book as a reference. The good stuff should already be in your brain. I mean, obviously, don’t cheat, right? But we’re not just saying this for ethical reasons. We’re saying it because you’ll probably get caught. Online testing isn’t just convenient for students. Its also convenient for professors. Online testing software makes it easy to test each student for the same information while providing every student with a uniquely sequenced exam. Some online colleges randomize test questions so that no two exams are exactly alike. So if somebody from another class offers you a cheat sheet, they might not be doing you the biggest favor. When it comes to online classes, cheating is stupid, even if you’re totally ambivalent about the moral implications. While we’re on the subject of cheating, I recognize that you’ve been told not to copy-and-paste throughout the course of your education. But we’re not talking about cheating here. We’re just talking about making the technical process of answering essay questions a little easier on yourself. Your online exam will typically provide you with fields for inserting typed answers to essay questions. Of course, you’ve been typing on Microsoft Word since the day you popped out of the womb. Don’t feel the need to come out of your comfort zone now. If it helps you to work more efficiently and without the distraction of an unfamiliar word processing scenario, complete your answers in your usual composition program, then copy-and-paste them into the fields provided by your exam. When every second counts, the lifelong comfort you’ve established with your particular word processing program could make a pretty big difference. If you’ve ever spent a miserable hour on hold with your cable provider while staring furiously at an empty wireless signal just wondering what could possibly justify a service interruption considering how much you pay for Internet every single month, then you know the ability to connect to the world wide everything is sometimes out of your hands. No matter how well-prepared you are, things can go wrong. The best thing you can do is have a method of contacting your professor in the event of an emergency snafu. On the day that a solar flare mucks-up your connectivity, or a hacker dismantles your operating system from afar, or a squirrel shimmies into your house through a drain-pipe and chews through your power cord, you should have a way of emailing, texting, or calling your professor. Notify your instructor of the situation, take a screen shot for proof if possible, and throw yourself at their mercy. If you really couldn’t take your test because of matters beyond your control, most decent human beings will exercise clemency. Most online exams aren’t done until you click the “Submit” button at the end. This is a good thing insofar as it allows you to go back through your exam and review your work. If you have time left once you’ve completed your first run-through, it is a really great idea to give it another sweep. But, once you’re done with that, make sure you find your way back to the end and hit that button. And wait until your submission is confirmed. Don’t get hasty and navigate away from the page just because you’ve been off of Snapchat for a whole hour and you’re going through dopamine withdrawal. Make sure all of your hard work actually transmits before congratulating yourself with a bunch of idle web wandering. The distance between you and your professor means that you can get your test results and quietly slink away with them if you want to. There’s nobody there to give you a reassuring thumbs up or a disappointed furrow of the brow. And perhaps there’s some comfort in that. But if you really want to learn from your mistakes—and that’s kind of the actual point of taking exams—you should ask your professor for feedback. The process isn’t over just because you’ve received a letter grade. Your goal should be to understand why you received the grade that you did and to find out what you could have done better. So obviously, we want you to do well on your exams. But, we also want you to have a fantastic Thanksgiving holiday. The most successful learners and professionals are those who know how to shift gears when study time is over. With that in mind, we’ll make a deal with you. You take the tips above to heart, do your best to rock out your midterms, and whatever happens, we’ll all agree to go home for the holidays, regroup, and forget about exams for just a few days. There’s a saying in sports that the best players leave the game on the field, that whether you win or lose, you should dial back your competitive intensity and give yourself an emotional respite before the next contest. The same is true of test-taking. Once the exam is graded, feedback is received, and the holiday season is underway, you have the right (and arguably the responsibility) to dial back the intensity. Save your strength for the next round of exams. And while you’re saving your strength, have some turkey, squabble with some family members, watch some football, or abide whatever traditions you, your friends, and your loved ones keep to mark the season.